Lumu is a project that was born by the confidence placed by the users of Kickstarter in a product that satisfies a significant need among the photographers: a small and portable light meter. Lume needs an IPhone but currently works with Samsung Galaxy Note 2, Samsung Galaxy S4, HTC One. The Lumu presentation is impeccable, shipped in a metal box with the company logo. A delight. Inside you have your Lumu with a leather bag and a hanging. 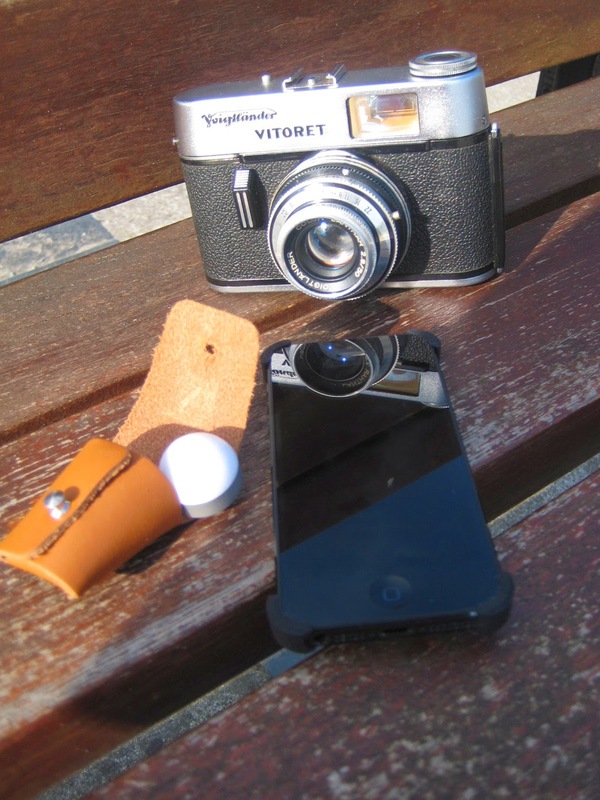 Both perfect to keep protected your Lumu and the pendant very useful to have it always at hand. 1. For measuring photo parameters or just measuring light. Also they will have a new app for filmmakers coming soon. Here some screenshots. Lumu app needs access to mic of your Iphone, cause the Lumu uses the same kind of jack that your headphones. Simple. Remember if you have a case to cover your Iphone, maybe you have to remove it when you use it. 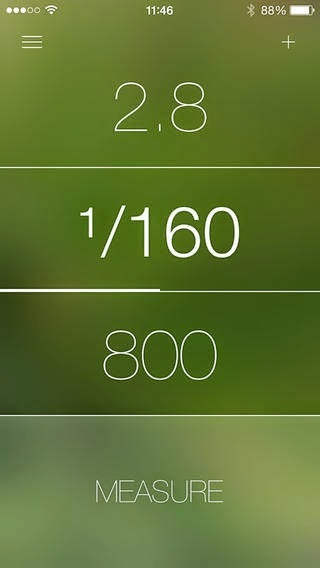 Lumu doesn’t work as a flash meter. However, the team behind it says they are developing new ideas, so get ready and expect new exciting Lumu features. Nice. 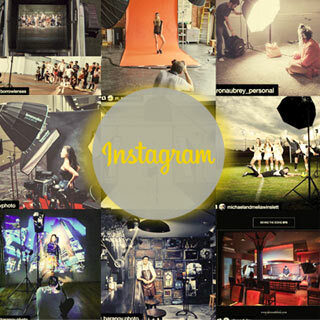 - Photo mode: Giving you parameters: time, f-number, ISO, EV, Lux. 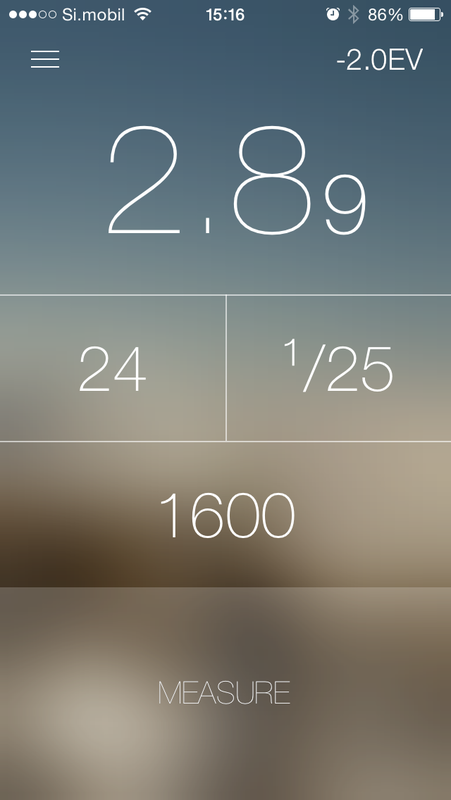 - Measure mode: showing EV and incident light level: lux/foot-candle value. 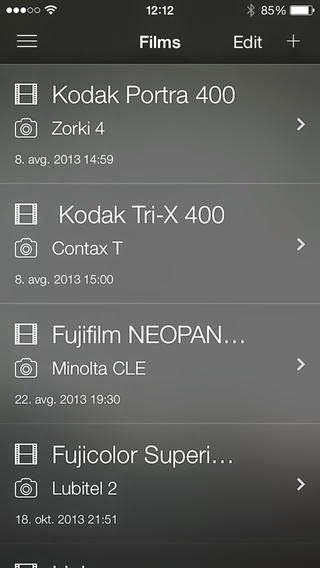 - Notes: Storing measurements with camera info, location, notes, and a photo. 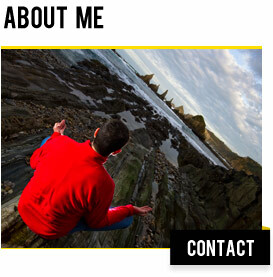 - Settings: EV compensation (for calibrating or using ND filters), EV step (1EV or 1/3EV), custom wallpaper. The best of the Lumu is its portability, it is really small. Its size is perfect . Personally I increasingly seek to minimize the size of my bag and Lumu really helps to get it. His second great virtue is his versatility. Their possible settings, from my point of view, allow to adapt it to the needs of three types of users. As a casual user of film I can not be more pleased with this product when I use my old Voigtlander (full manual ) with Ilford black and white film.It is small and allows me to adjust the measurements according to the type of film you use to get a perfect exposure. When I use my camera as a HDSLR I usually use the integrated light meter to calculate an approximate exposure. 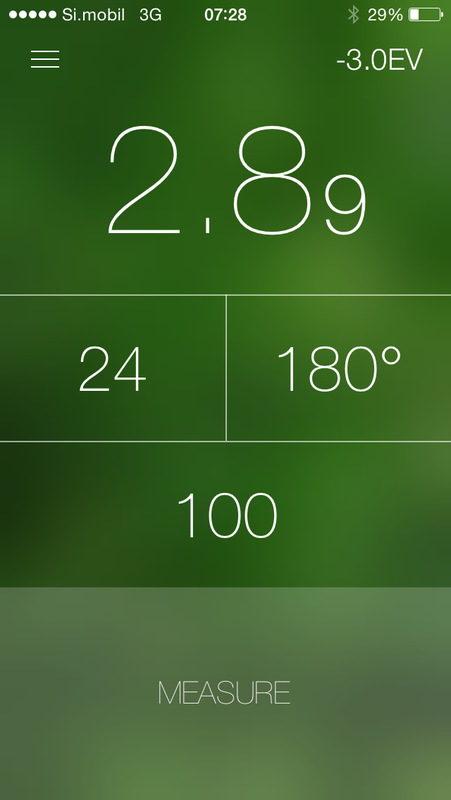 Although it is a fast method, Lumu allows me not only to be just as fast, if not more accurate. 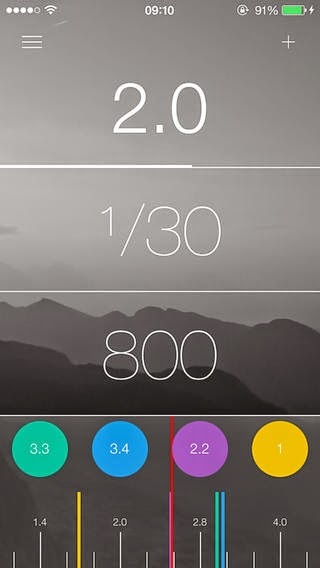 Good news, because, the Lumu team is working in a new app for filmmakers. 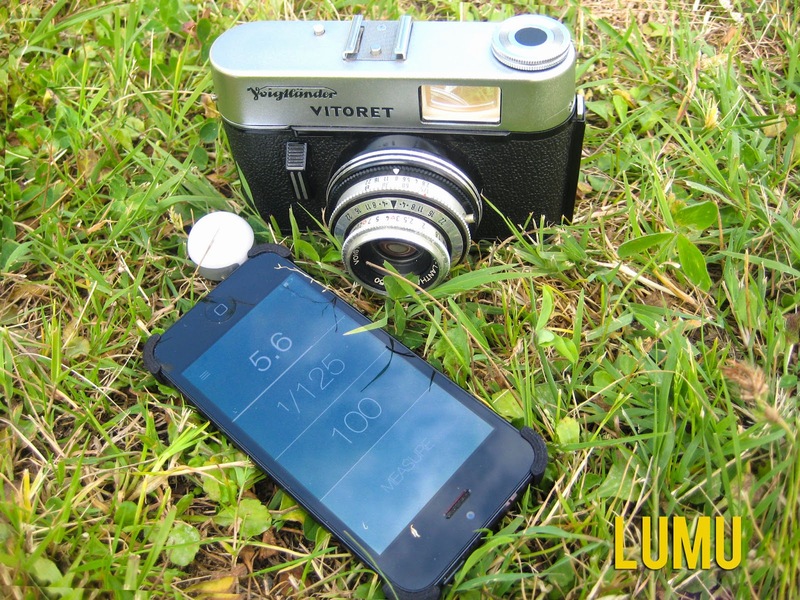 Europe: 99€ / USA: $149 Could you get other light meter more cheap? If you are a street or portrait photographer/ filmmaker and you like to travel light, Lumu could be your choice. 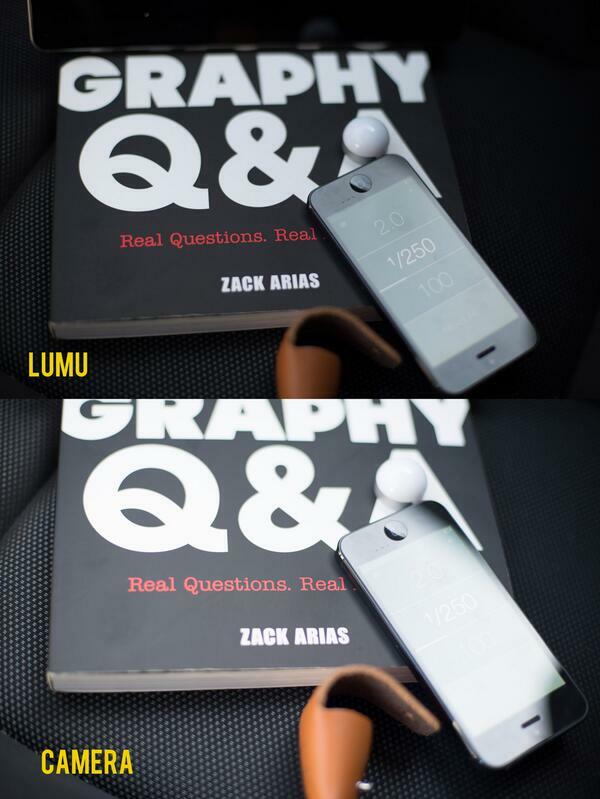 Lumu does not need battery, it is small, with a contained price and it is a accurate incident light meter. It is one of my favorite toys.